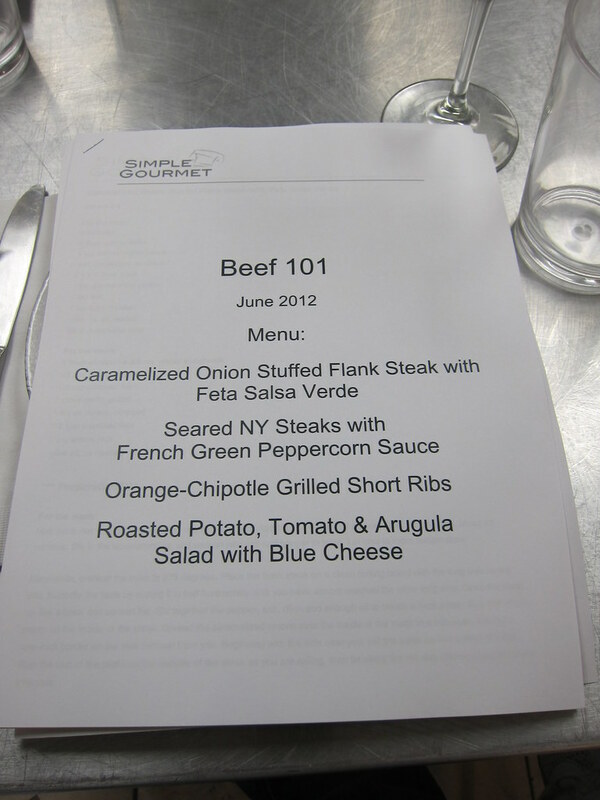 The Green Girl attended her first formal cooking class, Simple Gourmet Beef 101. 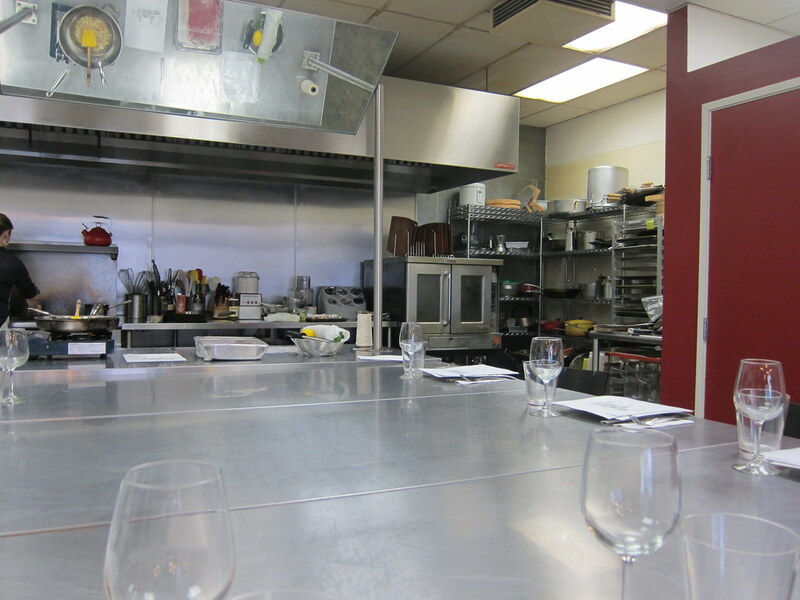 The course, taught by Founder/Chef Melanie Barsuk, covered USDA grades, the cuts of beef in the United States, and cooking techniques. US Department of Agriculture (USDA) inspectors assign a grade to each beef carcass during processing based on the meat's maturity and level of fat marbling. These factors are good indicators of the meat's tenderness and flavor. Grade that is generally sold at retail stores. Preferred because it contains sufficient marbling for taste and tenderness but is less costly than Prime. Lower-priced grade of meat with less marbling than Choice. Do not buy and do not be fooled by 'fancy names'. She warned us many grocery stores will try to hide the fact that they are selling Select Grade meat by giving it a fancy name. For example, Von's only carries Select Grade meat but refers to it as 'Rancher's Reserve'. It is helpful to understand from what part of the carcass each primal cut originates because the frequently used muscles of the animal will yield tougher meat. The most exercised muscle and toughest part of the steer is the shoulder (chuck). The second most exercised part is the round which contains a mixture of tough and fairly tender meat. The rib and loin muscles are worked the least and are the most tender and most expensive. The primal cuts are further broken down into subprimal cuts and then into portions known as fabricated cuts. 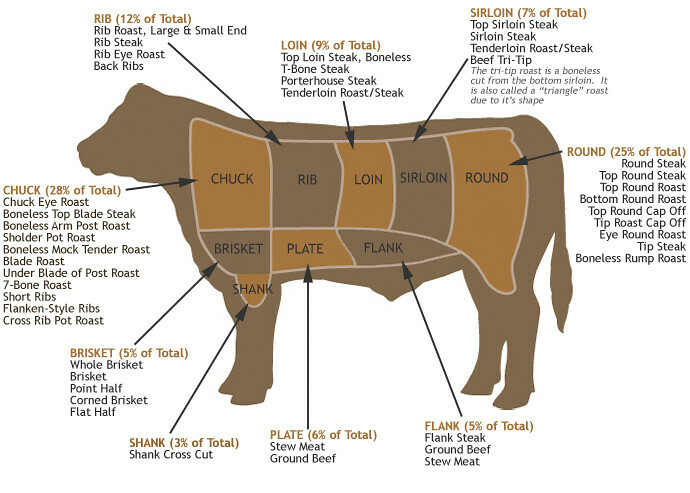 These cut names may vary by region so when buying beef focus on the primal cut. When shopping, you want the raw beef to be a light, rosy color. Dark meat is an indication of an old cow. Avoid packages containing excessive blood (purge) which may be a sign of dry/cottony meat. We learned it's important to allow frozen meat to thaw to room temperature before cooking. 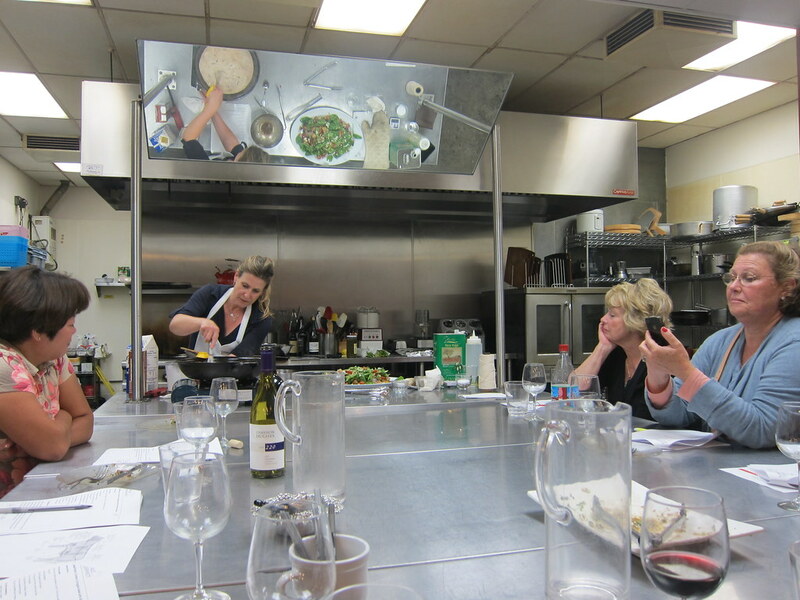 Chef Melanie recommended a combination of dry (stove) and moist (oven) heat for cooking protein. When BBQing, grilling is dry heat but closing the lid changes it to moist. At the conclusion of our class, Chef Melanie brought out some weekly grocery store ads and asked quizzed us about the advertised sales. By focusing on USDA Grade and primal cut, we were able to look past the confusing names and identify quality cuts. 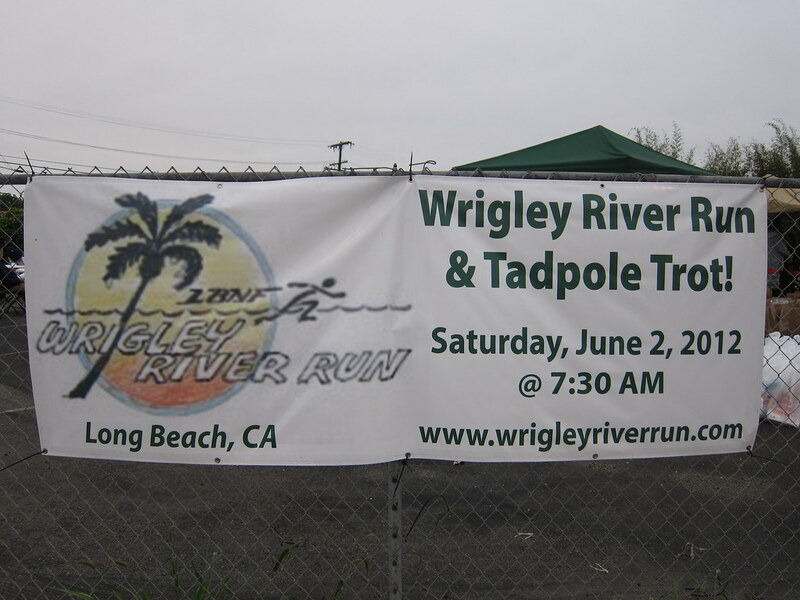 The Green Girl did the Wrigley River Run 10k on Saturday, June 2nd. 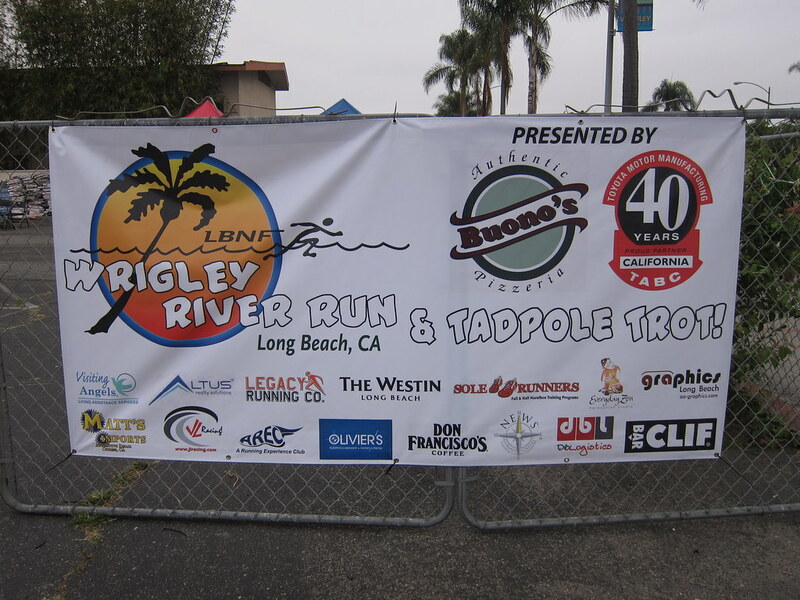 The proceeds from this event benefited the Long Beach Neighborhood Foundation (LBNF) to support educational and athletic events and programs for local youth. 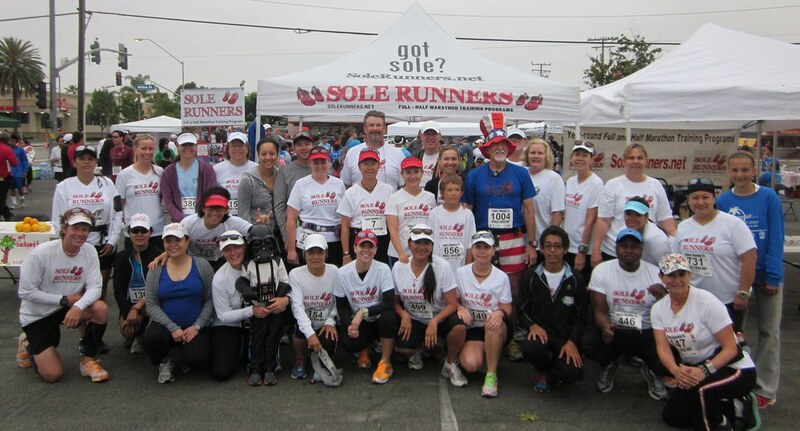 My running group, the Sole Runners, was one of the race sponsors. 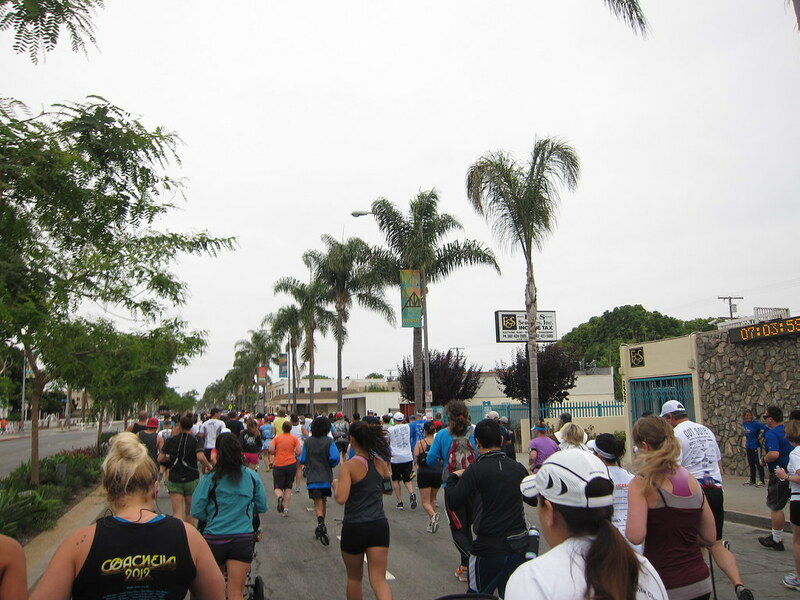 The event consisted of a 10k run/walk, a 5k run/walk (with an official stroller start), and a 1k Tadpole Trot. The 10k started an hour before the 5k so runners who could finish the 10k in time were given the option to run both races. 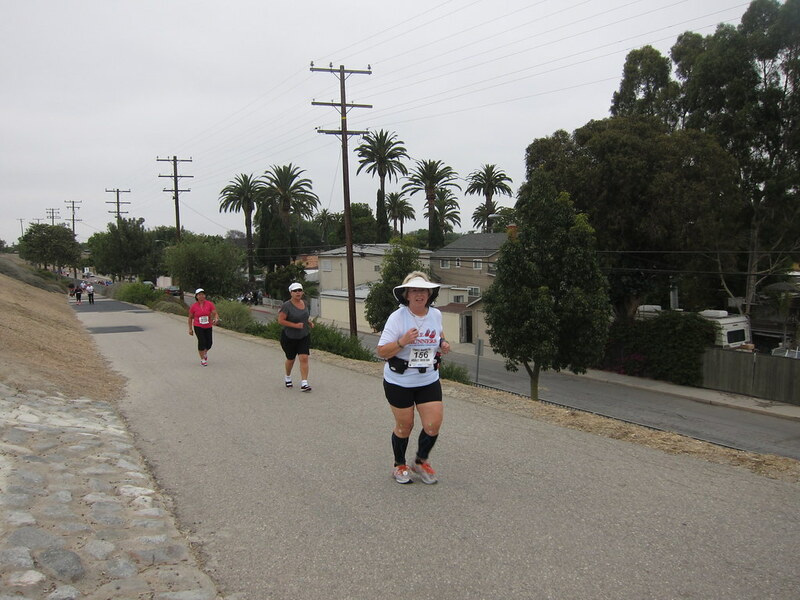 The route went through the residential Wrigley district of Long Beach with one switchback up and back down the concrete Los Angeles riverbed. The course was well marked and there were many enthusiastic volunteers to guide and cheer participants. I've been dealing with Achilles tendon bursitis (retrocalcaneal bursitis) in my right heel so my strategy was to take it easy and listen to my body. The switchback nature of the course enabled me to cheer on Sole Runners who were racing towards the Finish as I was still heading out. For me, the 1k Tadpole Trot is the highlight of the Wrigley River Run. 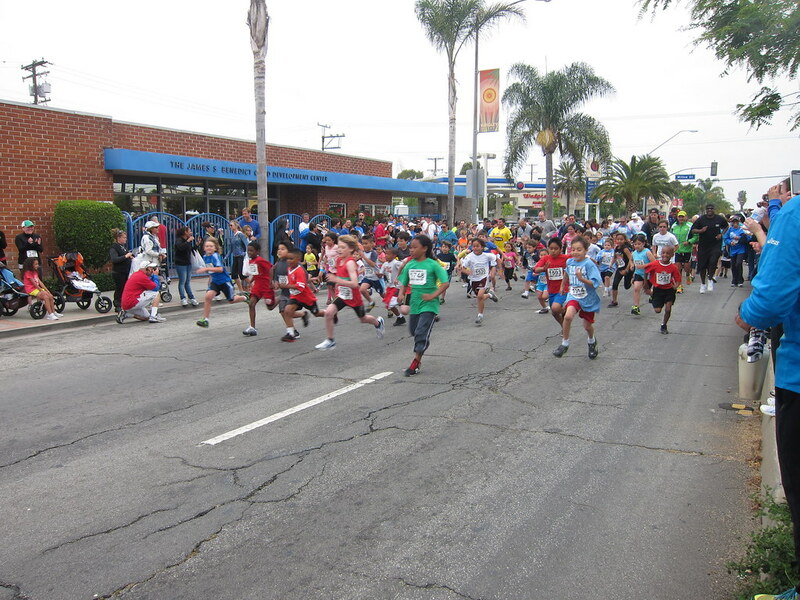 I love watching the kids sprint from the Starting Line. The overall male and female winners of the 5k and 10k races were awarded gift certificates for a pair of shoes from Road Runner Sports. 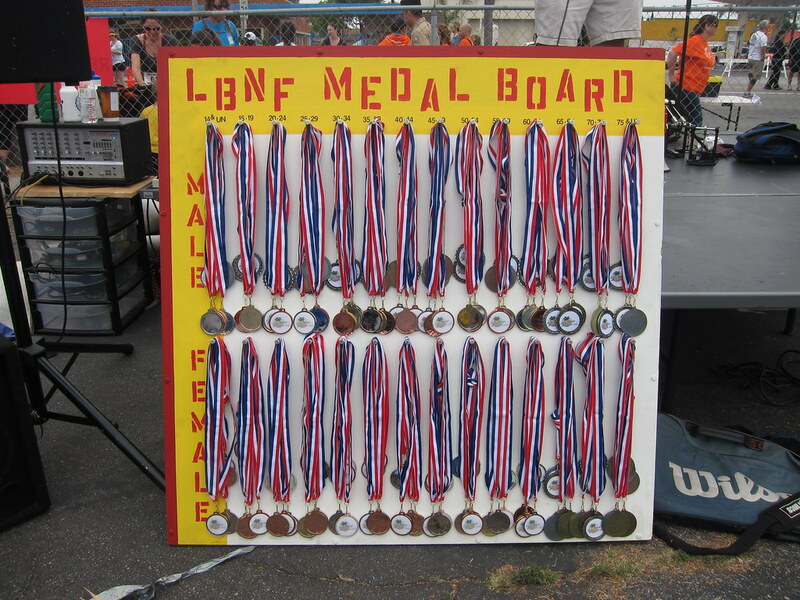 The top 3 male and female in 14 age categories received medals. The top male and female for the combined 5k/10k received trophies. A number of Sole Runners, including Coach Steve placed in their respective age divisions. Despite achieving a Personal Worst for the distance, I had a really good time at one of my favorite races.